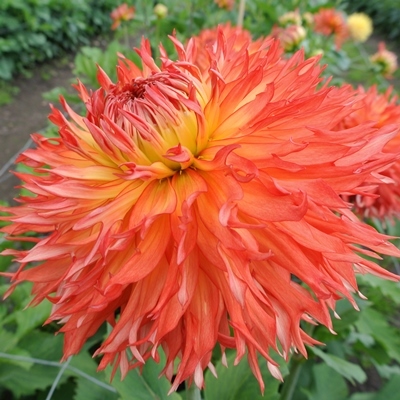 What a sheer delight this new Fimbriated Dahlia is. It was raised by John Willott who showed it for the first time at the NDS show at Wisley in 2017 where it caught my eye. 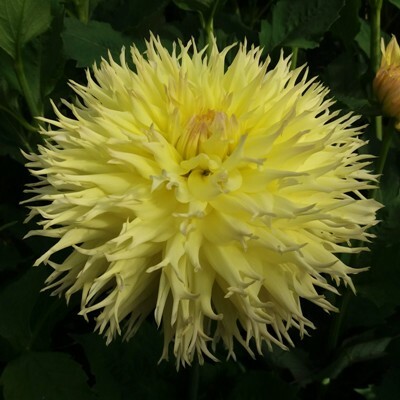 Some of you out there know that I have a bit of a soft spot for Fimbriated varieties so I was quite enthusiastic about giving this a try, and used it in exhibits at both Wisley and Harrogate in 2018 where it was much commented on. The full-bodied blooms are a very pleasing lemon yellow, occasionally with the faintest of a pink flush in the center. Flowers have good depth, good form with even fimbriation and are very resistant to damping off with blooms staying remarkably clean with no spotting, even going into October! 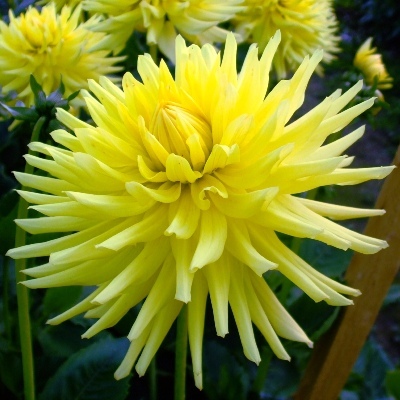 The strong growing plants will evenly support up to 8 blooms per plant and give consistently good flowers. Height is up to 1.5m. I am sure this variety will do well in the future and has already created a bit of a demand for itself. Flower Colour: Lemon yellow with occasional pink flush. Suitable for: Exhibition, Cut flower and garden display. Stopping: Remove growing tip at 4-5 pairs Mid June.